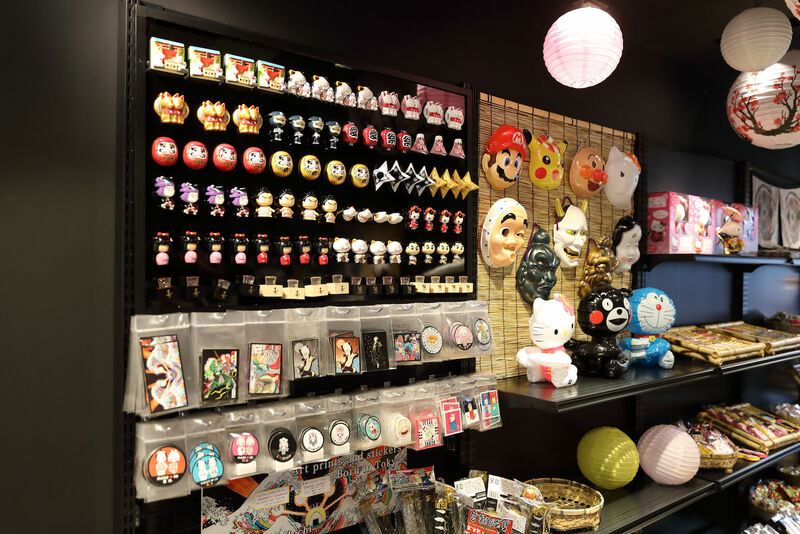 Shibuya’s first full-fledged souvenir shop “Shibutanien” was opened on the 1F of the new commercial facility, “MAGNET bySHIBUYA109” which was rebuilt and opened on the 28th of April 2018 (Sat.). This unique shop which has a blue shrine gate, a vivid-colored garden and a tearoom area is the sister shop of “the shop that sells drinkable rice balls” named “Onigiri Bar Shibutanien” which was opened on the 28th of April on the 7F of the same building. 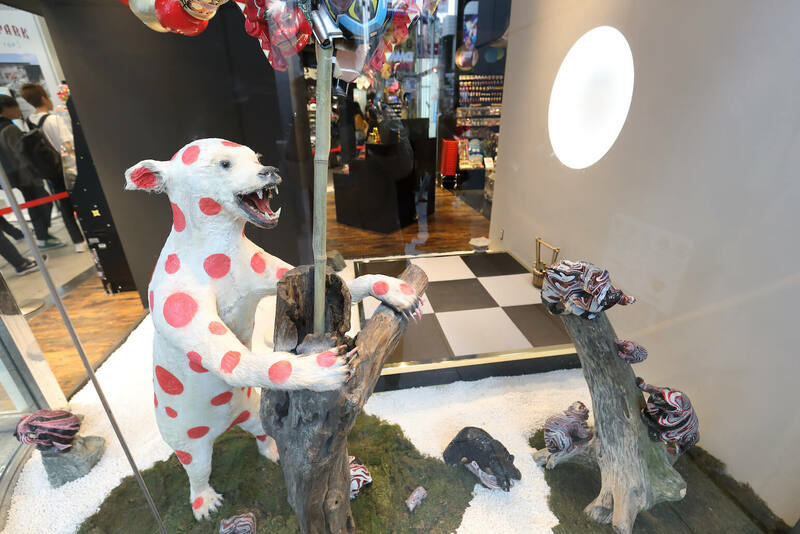 The shop was produced by the party-rocker, Akkun who is the sightseeing ambassador of Shibuya. The world’s first blue shrine gate installed at the entrance of the shop is made of Japanese cedar brought in from Tokushima Prefecture and colored blue using the indigo dying method. 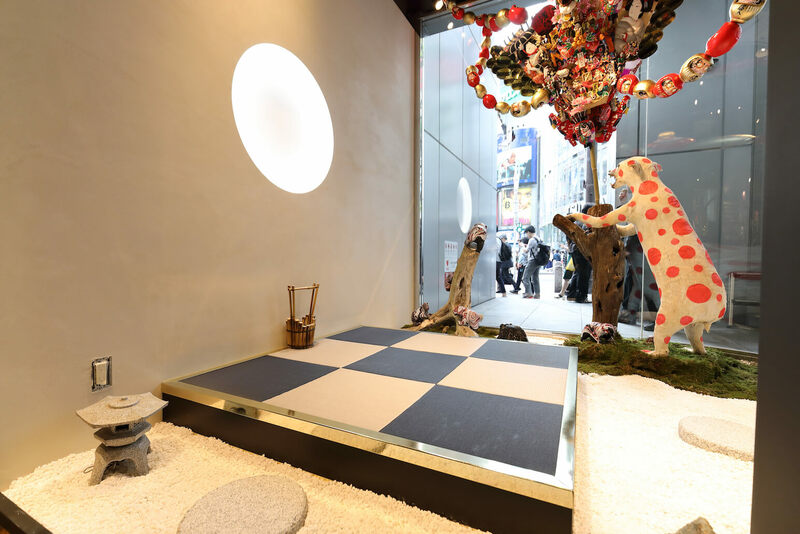 Modern“garden/tearoom areas” using traditional Japanese crafts such as works using a stuffed bear and large bamboo rake using the motif of Takasaki Daruma (traditional Japanese round doll)have been set up. The areas are going to be used as a photo spot, workshop spot, event space and live space for street musicians. 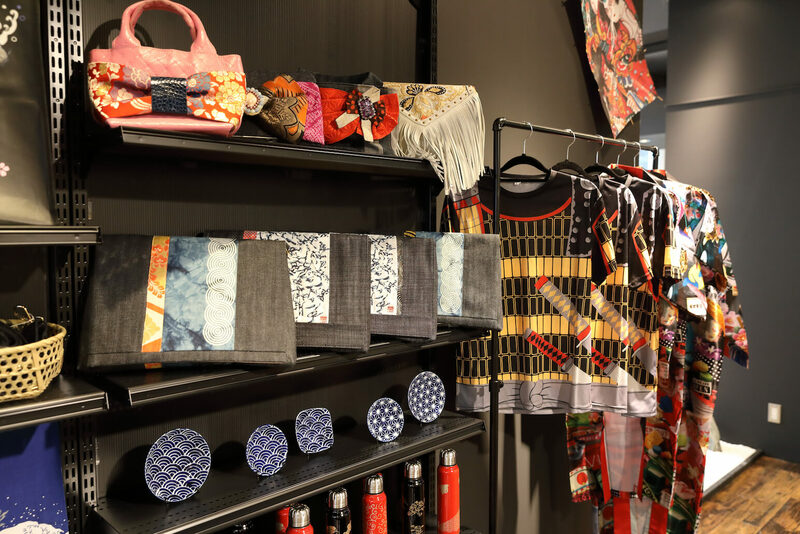 The products they are going to sell include lacquered tumblers and clutch bags made of Nishijinori (traditional Japanese fabric). 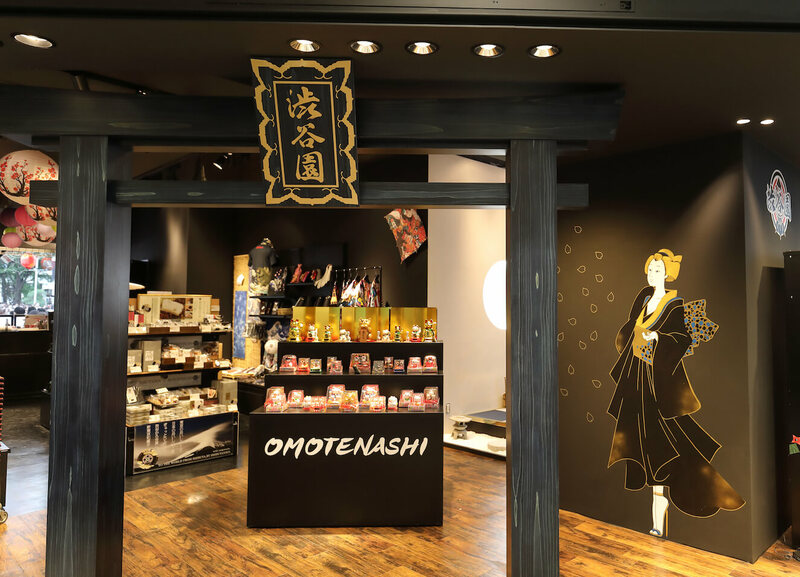 They are also selling many kinds of interesting souvenirs for tourists from both inside Japan and abroad such as snacks, chopsticks, Japanese towels and original decals. Why not visit this shop the next time you are in Shibuya!